It is the most wonderful time of the year, but Little Man has been so sick that we really haven't left the house in the last week. The frigid temperatures have encouraged us to stay inside even longer. I tell ya... I've never been so anxious for my Little Man to feel like himself again! I've decided that dealing with a sick toddler must be similar to dealing with a teenager. Mr. Oopsey Daisy and I have been learning all kinds of new tricks and distraction methods for administering medicine. But our decorations are up, and we are definitely enjoying our advents here in our home! Little Man loves beginning each morning with our book advent. Our Santa's beard is growing day by day, and we have plenty of other fun traditions keeping us busy here at home! I love watching the magic of Christmas unfold for Little Man... this is such a fun age! 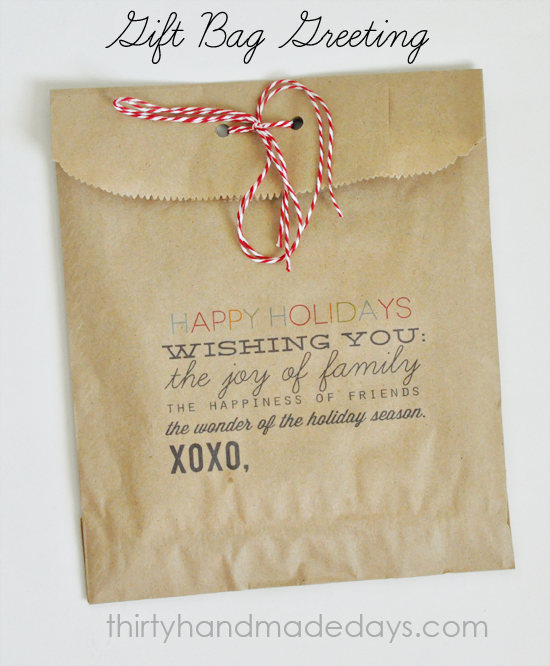 I adore these printable gift bags from 30 Days! Aren't they lovely? And the bakers twine is the perfect touch! I love seeing projects that emphasize the real meaning of Christmas... you know, putting the Christ back in Christmas! 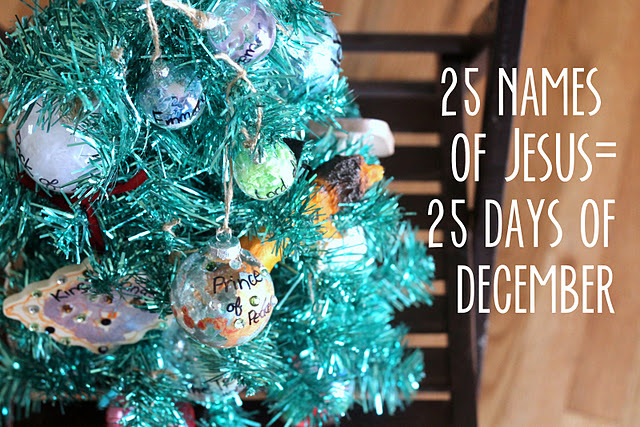 So I love that Kojo Designs created these 25 names of Jesus and used them as an advent... I would love to include this in our Christmas advent traditions somehow! Great idea! I've always loved stars this time of year. 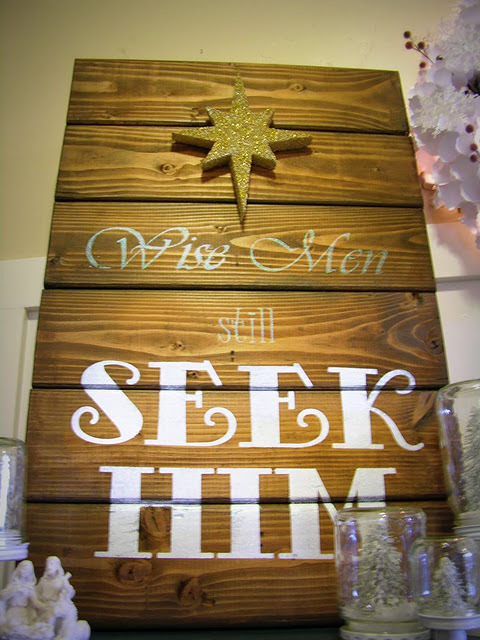 I am in awe of this amazing "Wise Men Still Seek Him" sign from Laura at Corner House. 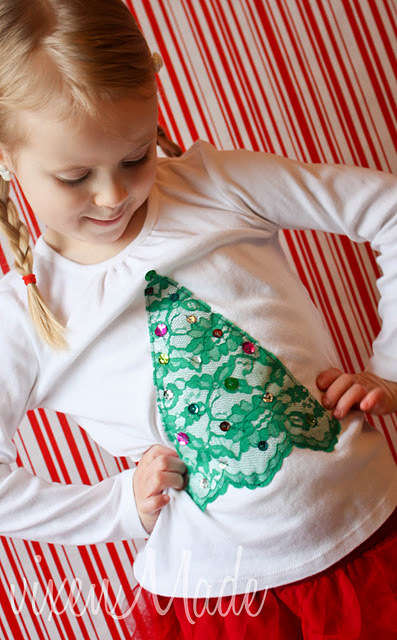 If I had a little girl, I would be sewing one of these lace Christmas tree shirts. Right. Now. Go check out vixenMade for the tutorial... I adore this! I love Stacy's (Not Just a Housewife) entire office! It's SO lovely. But her latest tutorial for reclaimed wood floating shelves is truly incredible! 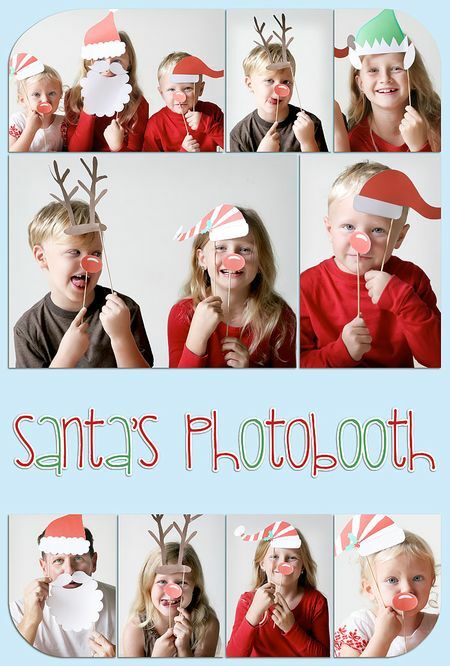 This idea from the well rounded mama isn't brand new, but I LOVE this Santa's Photobooth! Wouldn't this make a fun Christmas card?! P.S. I hope you'll join me tomorrow! I am co-hosting a Facebook chat with card designer Bonnie Marcus, sponsored by Kodak. We'll be sharing questions, tips and stories about our favorite holiday cards! We'll learn a lot from Bonnie Marcus about designing cards and also learn about the brand new Kodak kiosks in Target and Walgreen's stores. The chat will take place tomorrow, Thursday December 7th, at 6 p.m. MST. I hope you'll chat along with me on my first Facebook chat! Just "like" Kodak on Facebook and join us tomorrow evening! I *love* the photo booth!! Too much fun! 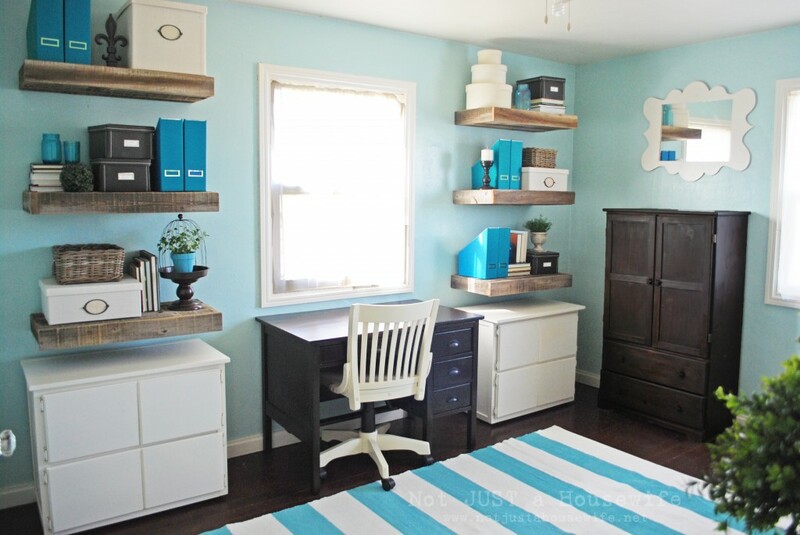 And those reclaimed wood shelves… wow! I’m going to definitely learn how to do those. Love that! Thanks for all the shares, Alison! Such a great lineup, Alison. I love the photo booth, too!! Yay!! Thanks so much for featuring my daughter’s Christmas tee!! So glad you liked it! 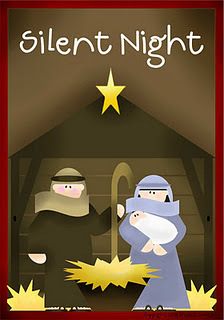 The link for the Nativity Memory game keeps taking me to the well rounded momma blog. Just wondered if you have the actual link. Thanks. =) I LOVE your ideas on your blog.